Submitted photo Chapmanville Regional High School girls' soccer player Hailey Chewning, left, battles for the ball in a match at Poca earlier in the season. The Lady Tigers closed out the season with Monday's 11-0 loss to Huntington St. Joe in the Class AA/A sectional tournament. CRHS finished with a 6-14-1 record. CHAPMANVILLE - Hailey Chewning did something last Friday that no other student athlete had ever done before at Chapmanville. And that was to sign on to play collegiate soccer. 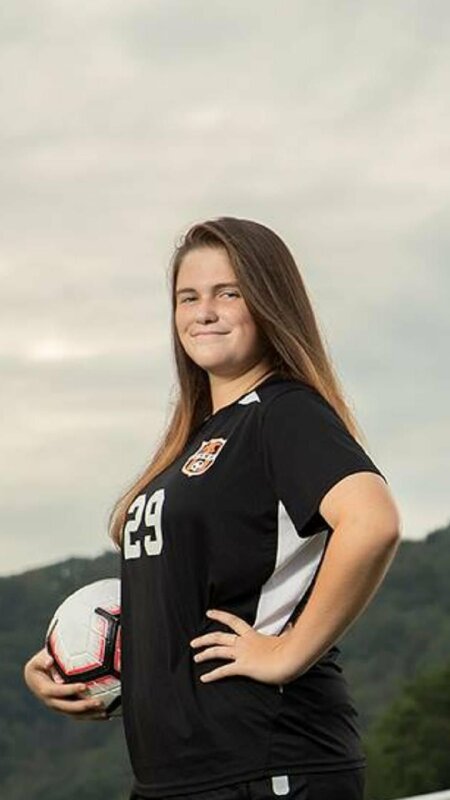 Chewning, a Chapmanville Regional High School senior and captain the last two years of the Lady Tigers' soccer team, inked with Division II Concord University of the Mountain East Conference late last week. 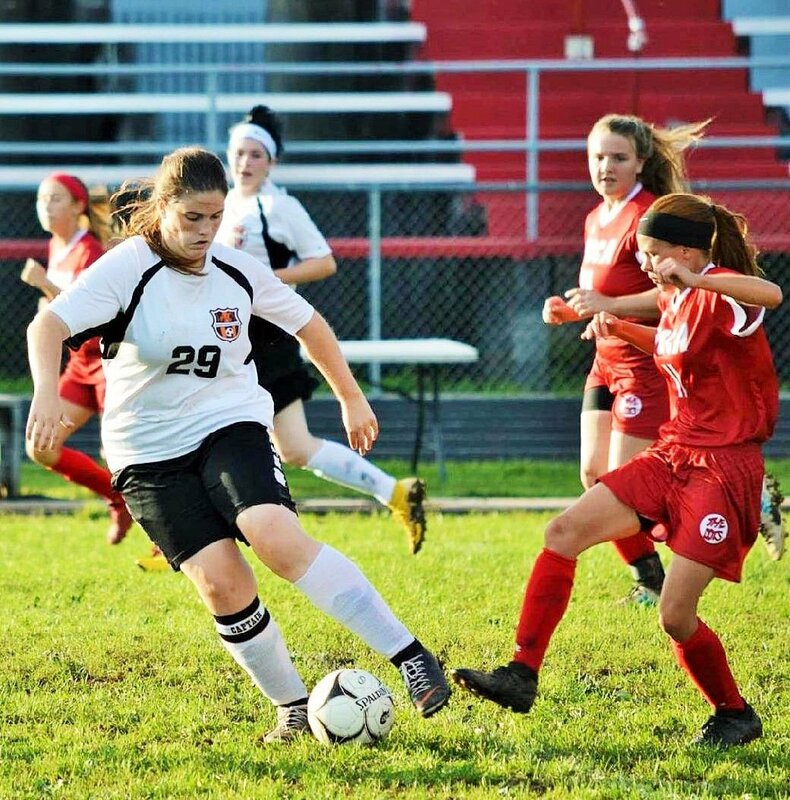 Chewning scored 18 goals and had 11 assists last season for Chapmanville and was voted Class AA/A All-State Honorable Mention, All-Region and All-Cardinal Conference. "She is the first Tiger to sign to play college soccer," Chapmanville girls' soccer coach Valerie Thompson said. "She was also the first CRHS soccer player to receive all-state honors. Hailey has put in the time and work and is very deserving of her recognition." The Lady Tigers were 6-14-1 last season, falling to Huntington St. Joe in the Class AA/A sectional tournament. Chapmanville logged wins last season over Mingo Central (3-0 and 1-0), Sherman (3-2 and 6-1) and Wyoming East (5-3 and 7-0) and tied county rival Logan (1-1). Chewning booted in three goals for a hat trick in the regular season ending win over Wyoming East last year. She had a big career at CRHS. "She also led the team in both goals and assists her junior year and had goals and assists as a member of the first CRHS co-ed team her sophomore year," Thompson said. "She was a captain this year and her junior year as well and has been a strong leader and mentor to our freshmen and to the new girls who had never played the sport before. She has proven to be quite the team player with her assists the past three years and does a wonderful job seeing the field and anticipating the opponent's moves. Her talent, skills, and leadership will be missed greatly. In the meantime, Thompson and the Lady Tigers are looking forward to the 2019 season which begins in August. "We are hoping to come back strong next season and hopefully we will have better luck as far as injuries go. We will definitely miss our seniors, especially Hailey Chewning," she said. 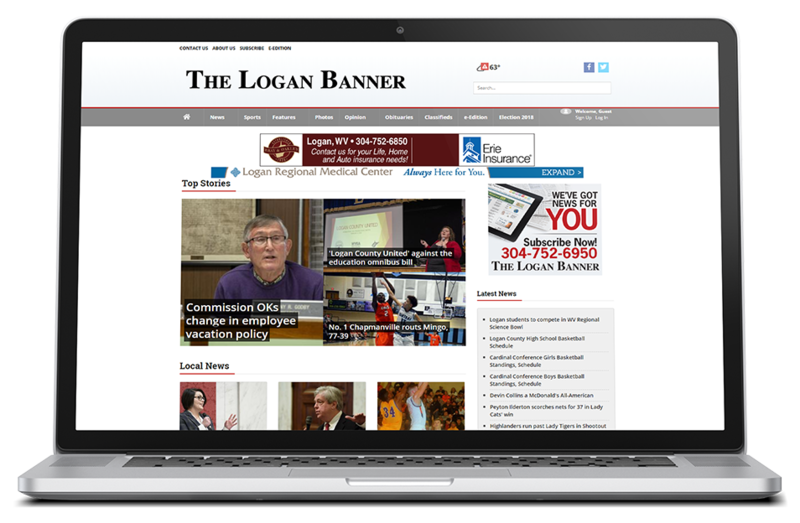 "Baylie Holton, Patricia Haddox and Leeta Adkins will all have to step up and help us continue to build."